Philips Hue, an in-home smart lighting system, can adjust your lights to change with the music you’re playing or set the mood for an evening dinner party. You can also easily control light levels and colors by connecting it to devices such as the Amazon Echo, Apple HomeKit and Google Home. 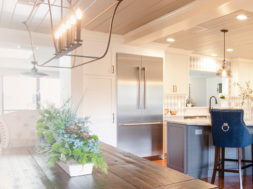 Controlled remotely from the Phillips Hue App, the energy-efficient, LED light bulbs use a smart wireless hub called the bridge to connect to your phone and other Wi-Fi devices. Screw them into any of your lamps and overhead lights at home to brighten up any room, and use colors as well as the warm white light setting to create an ambiance that’s just right. Pair up your smart phone with the new Anova Precision Cooker to get restaurant-quality meals in your own home. 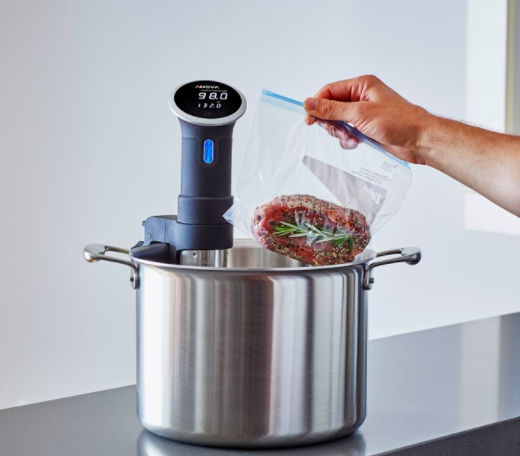 This kitchen tool makes even the most average cook feel like a pro by making it easy to use the sous vide cooking method to prepare a meal. This technique utilizes a precise temperature control to prepare foods like steak, chicken and even eggs in a sealed bag that is placed in a water bath. The device works with any pot and tracks the time while circulating the water to create an even temperature. When the dish is done you can get notifications sent right to your phone through the free Anova app, which also contains a variety of tasty recipes. Ta-da – bragging rights! You never have to compromise style for efficiency ever again. 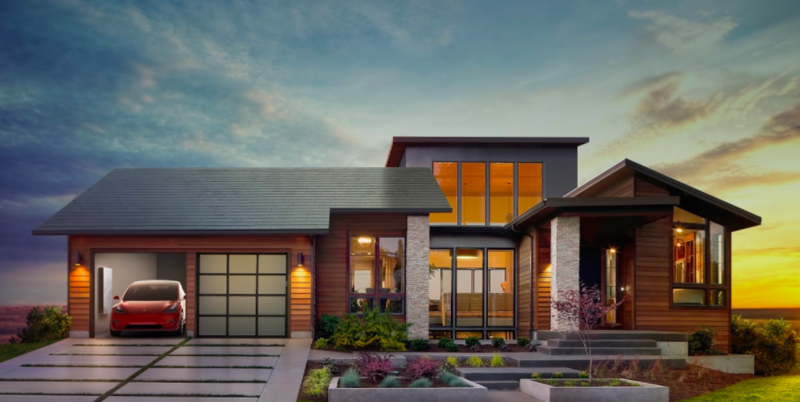 Tesla and SolarCity introduced solar roof tiles that create the perfect blend for environmentally minded homeowners who are also design savvy. The photovoltaic glass roof tiles mimic luxurious traditional home roofing styles such as rust-orange Tuscan and modern square black shingles. The customizable roof tiles turn sunlight into electricity and house the energy to fit your family’s needs. 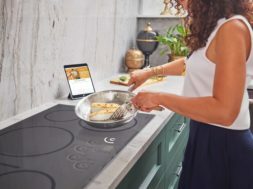 The tiles are run by the Powerwall 2, a high-capacity battery pack that runs itself and can serve as a continuous power source for seven days if the power goes out. In the long run, these innovative roof tiles provide sustainable energy that reduce costs. Ever wonder what your dog does when you’re away? Keep an eye on your pet with a new gadget called the Petcube. This pet-friendly piece of technology can entertain any pet while they eagerly await their owner’s return. 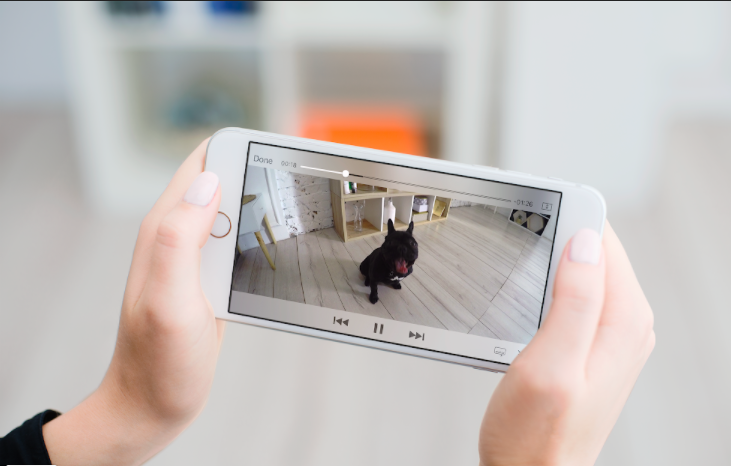 With a variety of models, Petcube also allows you to see, talk and train your pet without even being home. Want to hide your TV for the day? No problem! 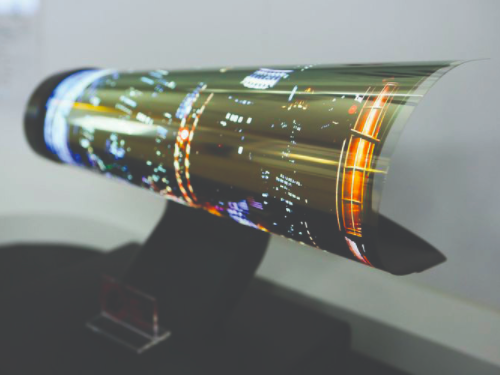 LG announced a brand new way to store a television- roll it up at the 2018 Consumer Electronics Show, where the company debuted a 65-inch 4k OLED TV that rolls up like a scroll in 12 seconds. The flexible TV fits into a rectangular box that can sit on any type of TV stand or be stored elsewhere, out of the way. During the show, LG showed that the prototype can also be rolled out to your desired height, perfect for displaying family pictures or the local weather. 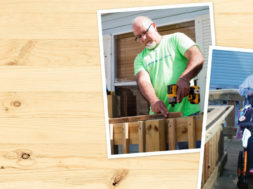 This new technology allows you to easily move or hide a previously permanent piece of your home while not compromising a clear picture. Add a Somnox sleep robot to your bed for a better night’s sleep. The Somnox robot improves your sleep through the use of sounds that help to regulate your breathing. 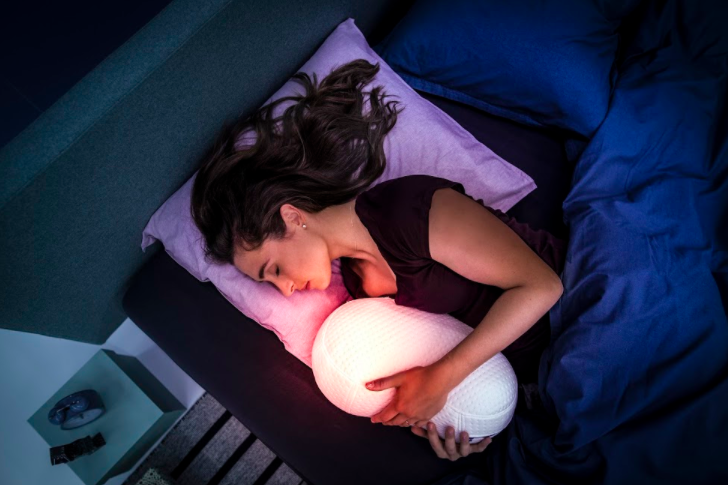 The small, plush, pillow-like robot breathes along with you to create a rhythm that has been proven to reduce stress and make it easier to catch those Z’s. Like any new technology, you can connect the robot to your smart phone to create your own breathing repetition with the Somnox app. It also has the ability to play a variety of sounds, including white noise, audiobooks and heartbeats to soothe you to sleep. The sounds turn off when your fall asleep. The huggable shape has been tested to ensure that everyone can cuddle the Somnox sleep bot.